We’ve discussed time and again the transformative power of porcelain veneers. These wafer-thin shells, which are custom-made, are used to cover the front surface of the teeth, giving your smile an instant makeover. 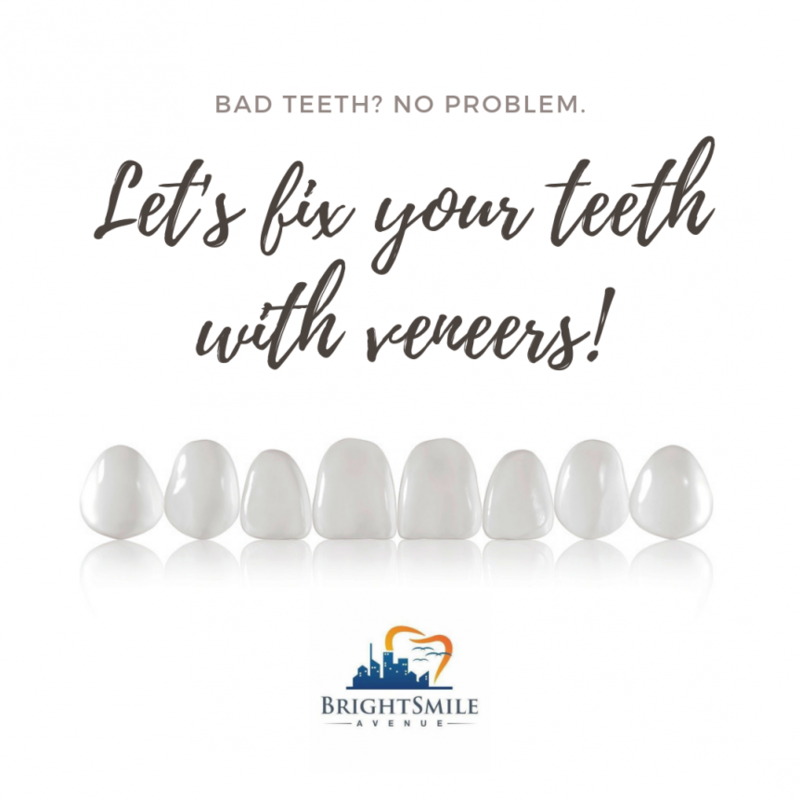 Your BrightSmile Avenue dentists can use veneers to change the color, shape, size, or length of your teeth, to give you the smile you’ve always wanted. Veneers are the answer to a lot of dental problems. They can fix broken or chipped teeth, worn down teeth, teeth that are too small, teeth that are uneven or irregularly shaped or teeth that are stained. Veneers can also be used to close gaps. Porcelain veneers are a go-to treatment in Hollywood—they’re the big secret behind your favorite celebrity’s flawless smile. Veneers can be made of two materials: composite resin or porcelain. Porcelain veneers are more natural-looking because of their translucent quality. They also last longer. Because of this, they are the more expensive option. You’re probably wondering. How much are porcelain veneers in the Philippines? The cost is around P20,000 per tooth. This may sound like a lot. However, porcelain veneers usually last from 10 to 15 years while composite resin veneers last from 5 to 7 years. P20,000 per tooth is actually a lot more affordable compared to the prices of porcelain veneers in other countries. For example, in the United States, they cost from $925 to $2500 (around P47,800 to P129,000) per tooth. If you get porcelain veneers in the UK, they cost £500 to £650 (P33,800 to P44,000) per tooth. Porcelain veneers cost $1000 and up (P38,000 and up) per tooth in Singapore. In Australia, the cost is $1100 to over $2000 (P40,000 to over P74,000) per tooth. Because of this, we have a lot of patients flying in from different countries to get their porcelain veneers done at BrightSmile Avenue. They usually make a holiday of it and still end up spending less than they would if they were getting dental work done in their own countries. Our patients see veneers as an investment. We agree. Getting the smile you’ve always been dreaming of can be life-changing. It can boost your self-confidence, improve your social life and even your career. Still wondering about the transformative power of veneers? Watch our recent TV feature and see how getting veneers made one patient happy. This kind of joy is priceless.